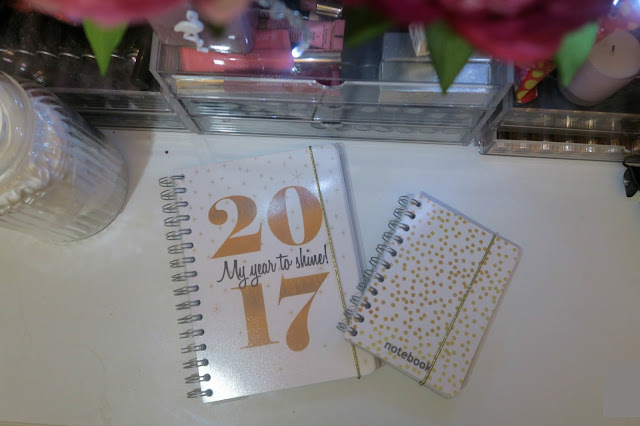 Back in January, I took part in a group "challenge" amongst a few fellow YouTubers and bloggers to set 17 attainable goals for 2017. As we are currently hurtling towards the end of the year I thought I'd recap the goals and see which ones I succeeded at. 1. Maintain a daily skincare routine. I believe that I half succeeded with this one. I'm completely happy with my evening skincare routine, to a point that if I don't complete it fully my skin properly feels it. The one thing I'm still struggling with is a morning routine especially on work days when I literally don't have the time to do a proper routine. 2. Spend as much time with as many friends as I can. Of course I would always like to spend time with friends but I have tried my hardest to keep up with my friends when both me and them have clear schedules which is easier said than done. 3. Watch 5 musicals live. TICK! I have actually seen waaay more than five. It is mostly down to the fact that I now have my theatre channel called The Theatre Necessities. My show total for the year actually hit 21, a number I actually want to surpass next year. 4. Work on a one out one in system for my make up. I'm not sure with this one. I have definitely bought less make up this year, mostly down to the fact I've bought more theatre tickets this year than ever before and they can get pricey but to say I stuck to the one out one in system I couldn't say. 5. Film a collab video. TICK! This year was the year I successful in filming a few collabs with Elle (Blonde Elle), which were so fun to do and I definitely want to do more next year. 6. Visit Bicester Village with Zoe. Unfortunately we have not returned to Bicester this year. I'm sure my bank balance is eternally grateful though. 7. Reach 1,500 Subscribers on my main YouTube Channel. Again this is sadly another no. My channel, The Clare Necessities is hovering around the 1.3K, so we are slowly heading in the right direction. 8. Visit a Spa. Another no, it is definitely on the list for 2018 though because I know where I want to visit I just need to plan out when and whether anyone wants to join me. 9. Complete the sit up track without stopping. Hahahahahahahahaha...Nope. I've got better but I do still need to take a moment during the sit up tracks in my Cardio Combat class where I just lie on my mat and have a breather but I am trying to get better. 10. Blog once a week. This one started well, then I had most of the year out, now I'm back again on a "new" blog. I am really enjoying blogging recently so maybe another one to move over into the new year? 12. Reach 400 Subscribers on Square Peg Round Hole. Again like with goal 7 I didn't reach this one. My vlog channel, which is now called The Vlog Necessities is currently at around 340 subscribers so again it's going in the right way. 13. Read 10 books. I haven't kept up to date with how many books I've read over the entire year but I think I've actually succeeded with this one. 14. Use my planner. TICK! I have been a very good planner this year. I'm currently working on a two step planning system, which seems to be working well. Yay! 15. Try a new exercise class. Yes but no on this one. In the space of this year, my Thursday Zumba class has had two different teachers who had very different styles, so technically they are different classes. However, now I don't have a Thursday class so it might be time to try something new when they announce the new class in the new year OR I might start going to the gym instead (any suggestions of gym work outs would be gratefully accepted. 16. Join in with more twitter chats. TICK! In fact with this one I can also say that I am the leader of the #vloggerschat chat every Sunday between 7pm and 8pm GMT. It's been a bit quiet the last few weeks due to the festive period but 2018 is going to be the year that we excel. 17. Have a clear out of my Subscription feeds. TICK! It is an ongoing process but I am finally getting rid of old subscriptions for people who are no longer making videos or of people who still make videos but I don't watch them any more. It just makes everything work much easier when my subscription feed is clearer. So all in all a complete mixed bag of sucesses and non successes (we are not calling them fails...being positive and all that). Did you set any goals this year? How many did you succeed at?